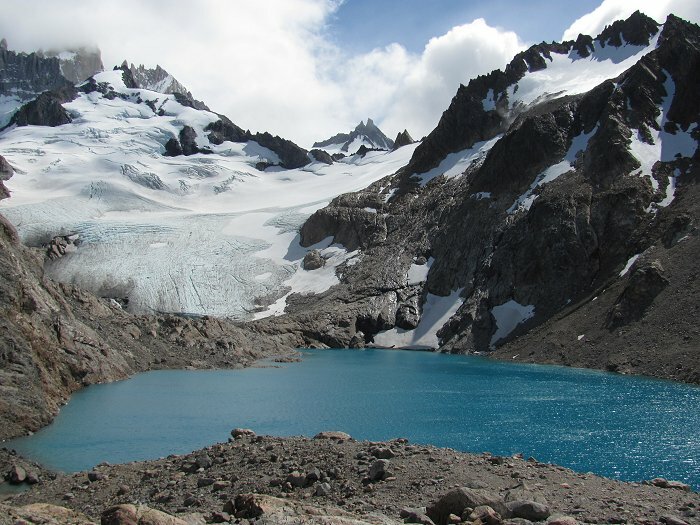 The Laguna de los Tres. The wind was "muy fuerte" on this day and the gusts so strong that we had to crouch periodically. A true experience with the raw power of Patagonian weather and truly invigorating! A clear view of Fitzroy's summit eluded us, however.